SCF: It’s folk inspired synth rock. Most of our songs were written with just an acoustic guitar and were built up in production until we reached the sound that we’re going for. SCF: I draw a lot from films. CH.89: What made you all want to start a band? SCF: I’ve wanted to start a band ever since I was 9. I’ve been in a lot over the years but this was the first one that felt 100% right. We are all on the same page. 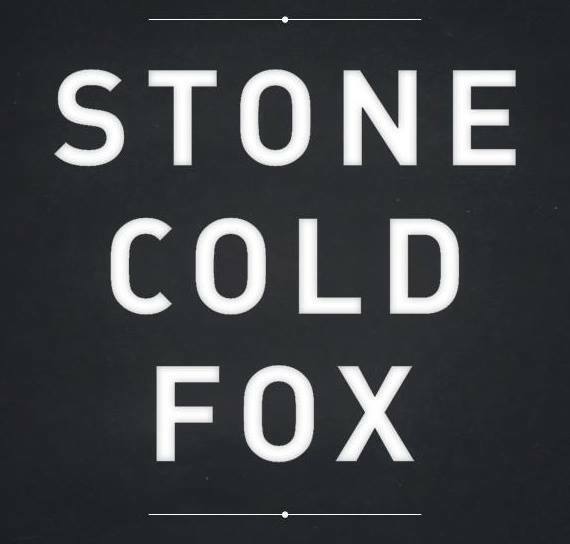 CH.89: How did the name Stone Cold Fox come about? SCF: A certain girl inspired it. SCF: We wanted to expand our sound. When we started out it was just Ariel and I, so we didn’t have a lager group dynamic to influence the recording. Now with all 5 members the sound has gotten bigger and it has taken new form as everyone comes to the table with different influences and backgrounds. SCF: I’m honestly not sure, that’s completely up to them. I’d love to say some pretentious stuff about lyrical substance, nostalgia and a sense of belonging but honestly people are going to take what they want out of it and that’s totally fine with us. SCF: It’s just a lot of writing and recording, it really just never stops. SCF: We started with the impulse. We began this record in the winter of 2013 and didn’t find a clear direction until last spring. It just takes some time, but once you find the direction there is no where else to go, you just know, and you follow it through. SCF: Don’t listen to anyone who tells you to stop. SCF: Style really isn’t what we’re about. Personally I really dislike how much the “scene” affects how people digest music. We are writers, producers, musicians, not models. SCF: That we can go in any direction we care to go. As long as everyone in the band is down, it’s endless possibilities, and that’s exciting. SCF: It’s amazing. We are all total audio nerds so when we find new technologies that can further our sound, presentation and live set we figure out ways to use it to advance our sound without exploiting it or using it as a crutch. SCF: We’re all seeing the same stuff, artists just have tools to filter it into a digestible projection. SCF: We love traveling. I actually really love LA. SCF: Get this album distributed. SCF: Who knows, it’s always subject to change.